The £1.5m transformation of Darwen’s Market Square is set to be unveiled this spring. 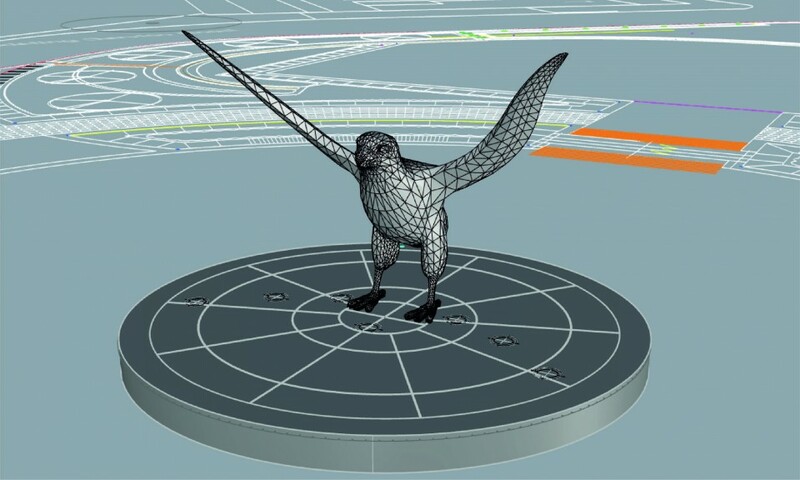 At the centre will be a majestic Peregrine Falcon made of woven copper and sculpted by renowned artist, Liam Hopkins. It’s set to be unveiled in a spectacular fashion as part of an official opening of the new square – marking the end of a year of work to transform the whole area. The idea of the bird relates directly to Darwen’s surroundings with the moors and the iconic India Mill. It reflects the heritage of the town, with weaving being one of the traditional trades. The Peregrine Falcon represents the people of Darwen too; they are strong and resilient. They may travel many miles, but they always favour a place that they like to call home. Residents have been able to watch the changes take shape on the site of the former three-day market as the work there has progressed. Darwen’s town centre has undergone a really impressive transformation. The residents of Darwen and their views have been at the very heart of the plans and we’ve worked closely with the Darwen Town Centre Partnership Board and the Heart of Darwen Design Reference Group to make sure we get this absolutely right. I’m really looking forward to the works being completed in the coming weeks so residents can start to enjoy the new space and all it has to offer. While the new square is based on a modern design, care has been taken to make the most of the historical features already existing in the area. It’s incredibly important for towns like Darwen to find ways to attract visitors. This new area will allow for large-scale events that will draw people in, offer something different and new and support our local businesses. This is an exciting development for the town and the whole borough of Blackburn with Darwen.